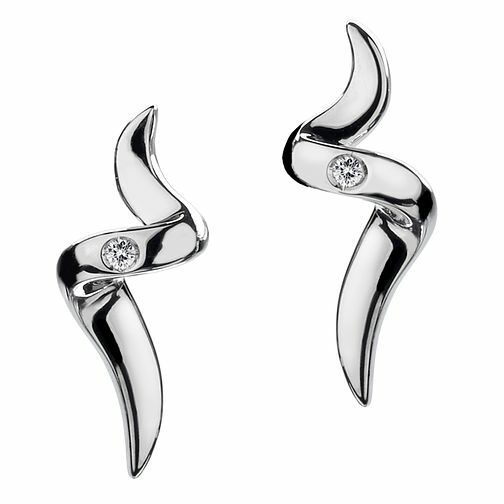 A single sleek band of gently twisted sterling silver is polished to a mirror finish in these spiral earrings by Hot Diamonds. A signature brilliant cut diamond rests on each, playing in the light. Hot Diamonds Sterling Silver Spiral Diamond Earrings is rated 5.0 out of 5 by 2. Rated 5 out of 5 by Anonymous from Affordable good quality Hot diamonds is an excellent product have brought a lot of their Range, expensive looking at a good price and quality.